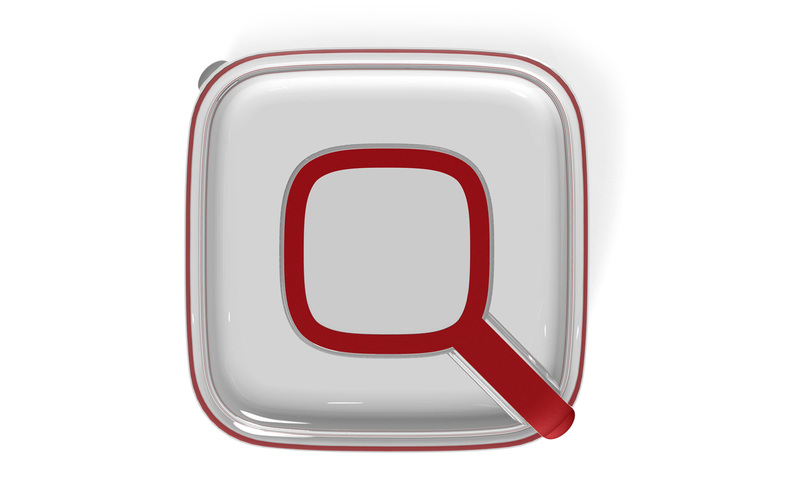 Q-box, the lunchbox for demanding people. 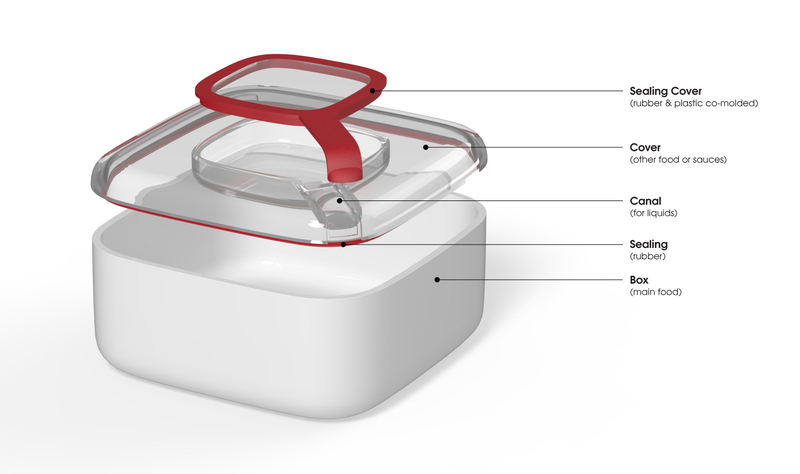 With Q-box it is possible to enjoy a tasty dressed dish without any additional and annoying food containers. The main cap has a mini-box itself, which can contain small quantities of food or sauces. silicon, but thanks to a small trough, it is possible to pour dressings on the main dish without draining. 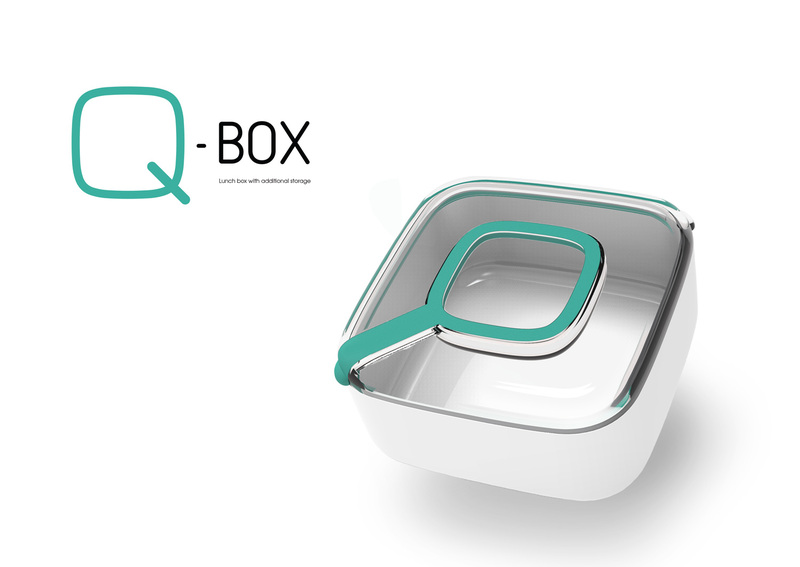 Q-box is intended for those people who prefer to eat just one main dish together with delicious dressings or small quantities of food. Q-box is made by the dish box, a main cap and a second smaller one. This last can contain also liquids thanks to its sealing.